Still no clarity on whether the iWork apps would be free for download on existing iOS devices. At the iPhone launch event, Apple has announced that the iWork suite of productivity apps would now be free to download for new iOS devices. 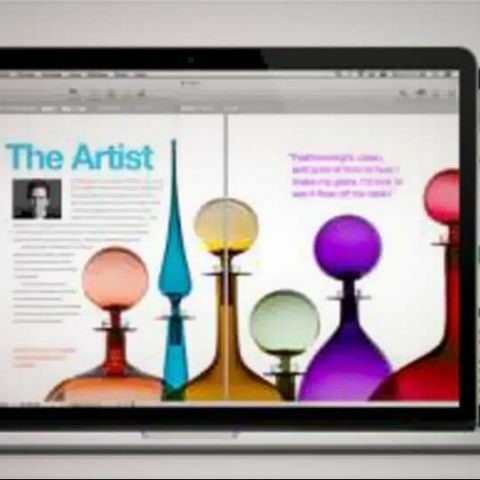 This was announced by CEO, Tim Cook, as he went through the presentation about Pages, Keynotes and Numbers. All new iOS devices - iPhones, iPads and the latest iPod Touch, will get the free iWork suite as an optional download. When setting up a new iOS device, users are generally prompted with the option of downloading a bunch of free Apple apps, including iBooks and Find my iPhone. In the same way, users will now find Pages, Keynotes and Numbers in the same list, with the downloads being completely optional. At the moment, iWork apps are available for iOS devices for Rs 550 each, with individual payment and download for Pages, Keynote and Numbers. There is still no clarity on whether this suite of productivity apps will be free for users of existing devices, or whether this will happen with the iOS 7 update, if at all. This is Apple’s way of trying to push iOS devices to new users, including the enterprise, by offering the complete suite of productivity apps to devices at the time of setting them up. The fact that they are now being offered for free is to counter Microsoft’s Office suite of apps, with Office now available for the iPad with the Office 365 subscription.